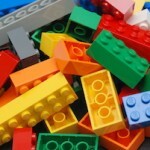 It is mind-boggling how many options you have for construction materials. You can build with many different species of wood and order boards in many different sizes. Metal panels are common in some applications, so they come in a wide variety sizes, thicknesses, and varieties. But, perhaps the most surprising of all, is how many screws you have to choose from! This article will discuss polycarbonate screws and other polycarbonate fasteners. Many people don’t spend a lot of time thinking about the kind of screw they’re going to use. They simply head to their local hardware store and pick up a pack that’s the right size. 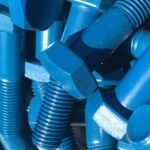 However, the type of screw you choose can have a huge effect on the outcome of your project. The first surprise is that there’s more than just metal screws to choose from. 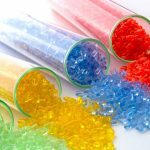 Polycarbonate is a popular option, but exactly what is it? Polycarbonate is a type of plastic. To be more specific, it’s a special group of thermoplastic polymers that contain carbonate groups in their chemical structures. It is exceptionally strong and tough, even when transparent. It’s easy to work, mold, and thermoform. It has a high impact resistance, but unfortunately, it has a low scratch resistance. That is often countered with a hard coating that prevents scratching without compromising the qualities of polycarbonate that make it so desirable. LEXAN® is a popular manufacturer of polycarbonate materials. It’s line features sturdy, transparent, engineering thermoplastics. Their products have high heat deflection, low frequency, and high voltage insulating characteristics. Just because polycarbonate has a lot to offer doesn’t mean it’s the right choice in every application. Here are a few times when using polycarbonate screws is appropriate. Polycarbonate is often used in electrical systems because it offers many safety features that other materials can’t provide. It is a good electrical insulator, and it has heat-resistant and flame-retardant properties, which is important in an environment that can get very hot. Polycarbonate tubes and sheets are the norm, but so are polycarbonate screws. They are able to support the properties of other polycarbonate materials instead of compromising them, as would be the case if you choose metal screws, for example. The use of polycarbonate screws is prevalent in electrical systems, but it can also be found in electronics. 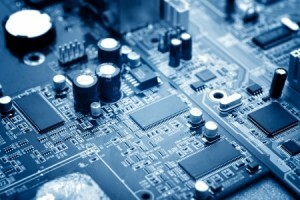 It is used in electrical and telecommunications hardware, high-stability capacitors, and even computers and other electronic equipment. Because polycarbonate is so useful in electrical systems, it should come as no surprise that it’s often used in the automotive industry as well. When injection-molded, polycarbonate can produce extremely smooth surfaces. Optical reflectors are often made out of polycarbonate, and it’s usually used to make headlamp lenses, thanks to its low weight and high impact resistance. Polycarbonate in automotive applications is often limited to low-stress applications because fasteners can weaken the material. However, when polycarbonate fasteners are used in conjunction with polycarbonate products, the application possibilities expand. There’s no doubt that polycarbonate materials and polycarbonate screws are most common in electrical and automotive applications, but there are some other really interesting ways this innovative material is being used. Polycarbonate is sometimes laminated to make bullet-resistant glass. It isn’t fully bullet proof, so you won’t find it used in police applications, but it’s commonly used to create teller’s windows and wall barriers inside banks. Drinking bottles are sometimes made out of polycarbonate, as are food containers. Containers continue to be made out of polycarbonate because it can be manufactured without BPA. The lenses of your glasses may contain polycarbonate, and it can even be used to replace glass for light applications and projectile-resistant viewing. 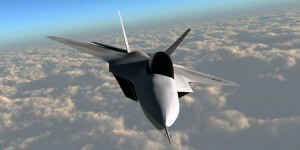 One of the most interesting uses of polycarbonate can be found in the Lockheed Martin F-22 Raptor jet fighter. Its cockpit canopy is made from a single piece of high optical quality polycarbonate. It’s the largest piece of this kind of polycarbonate material in the world. It takes a lot of research and consideration to figure out exactly what kind of material you should choose for the fasteners in your next project. 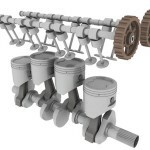 It’s important to choose the right one if you want the final product to meet your specifications. When it comes to polycarbonate materials, it’s not a good idea to use nails. Polycarbonate expands and contracts with changes in temperature. A screw must be used instead. In addition, the holes must be pre-drilled. That way you can prevent warping and cracking around the screw. 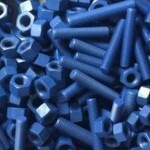 The same rules apply to fasteners made out of polycarbonate material. You won’t find polycarbonate nails because it isn’t the best way to use this material. 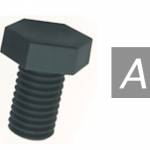 However, creating screws out of polycarbonate can be extremely effective, especially when you’re using polycarbonate in other parts of your application. When deciding if polycarbonate screws are right for your particular application, it can be extremely helpful to compare its properties to the properties of other materials. For example, polycarbonate has great elongation properties compared to other materials, like nylon, but it may not be the best choice if you’re looking for a screw that can withstand temperatures above 212 degrees Fahrenheit. Check out our handy comparison chart to learn more about the properties of polycarbonate, or give us a call. 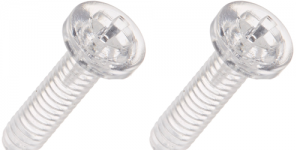 We’d be happy to tell you more about our polycarbonate screws and whether they’re a good choice for your next project. This entry was posted in General, Plastic Fastener Materials on August 31, 2017 by Fastener Components.